If you are an independent rep, creating a sales rep agreement with your principal is of prime importance and and has a lasting effect on your income. As an individual sales rep not on direct payroll of the company, this protects your rights and prevents misuse of the terms of independent contractor status by the company you are to represent. A manufacturers rep will always make sure that he or she understands the terms of contract well and that any ambiguity is cleared before an agreement is signed. The first step to signing a proper sales rep agreement is to study the job requirements carefully. Make sure that the task that is being assigned fits in with your experience and qualification. 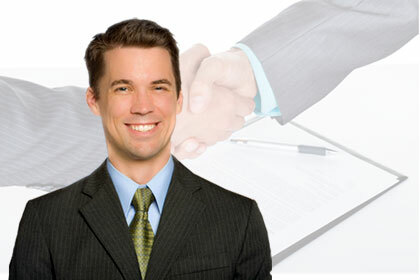 If you are not clear on a particular job description, call the principal company or the agent and request for details. Sometimes, the company giving out the task might like to have a personal interview with the sales rep. Talking to the company will help you be clear on the targets that you need to achieve, your incentive pay and future prospects with the company. Find out if your principal will provide any training. This can make a lot of difference in the way you are able to sell as the manufacturers rep. Your principal might most probably have a sales agreement draft that will help avoid the tedious job of typing and editing your own draft. However, if you work with more than one principal, you may be comfortable drafting your own independent sales rep agreement. Make sure that you are able to clearly define and measure your deliverables in terms of time and targets. When you have these incorporated into your agreement in clear language, there is little ambiguity and scope for misunderstanding later. Understanding the milestones is also key to executing a proper manufacturers rep agreement. By incorporating milestone payments into the agreement, you make sure that the terms are least risky to both parties involved. Recommendation: Create your free sales rep profile at RepHunter.net and access the resources on our Sales Rep Training Tools page, including a sample Sales Representation Agreement. I agree that “creating an agreement with your principle is of prime importance” to a manufacturers representative. It sounds like it takes quite a bit of study of the requirements and the company, but I’m glad to see that there aren’t too many steps to the process. I didn’t know that principals sometime provided training, but that could be very helpful. I’ll ask about that in the future.